Woolly wugs - made perfect for summer bed bugs! Woolly wugs – made perfect for summer bed bugs! South Australian mums Sarah Abbott and Kate White are the masterminds behind the brand new company Woolly Wugs. 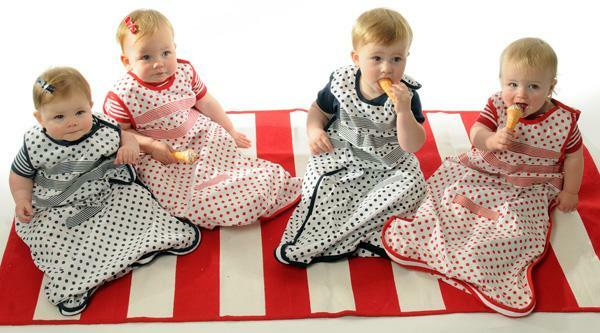 With the blistering heat of Australian summers in mind, these two gorgeous ladies have designed what I think is the perfect summer sleeping bag for our babies and toddlers. The newly launched unisex Woolly Wugs summer sleeping bag is hot off the press. Conveniently sold in sets of two – featuring one ruby red and one midnight navy – they are one hundred percent cotton and finished perfectly with grosgrain ribbon binding. Perfect for summer nights when you want to cover them with something, but nothing too heavy. The good news doesn’t stop there though, because these sleeping bags come in one size and will fit any child from size 000 through to two. I kid you not. Talk about value! Get in quick for summer. The pack of two Woolly Wugs sleeping bags is priced at $99.95 from Little Styles. Delivery all around Australia is available.